The East Pointers are a Celtic/Pop group from P.E.I. 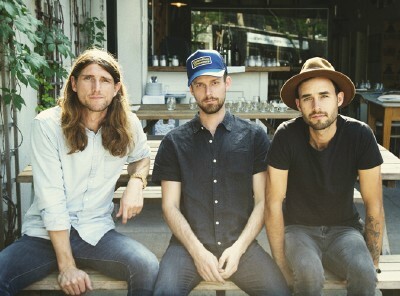 They are: Tim Chaisson, fiddle/singer-Koady Chaisson, banjoist-Jake Charion, guitar. In 2017, they are intenationally acclaimed Juno Award winners for their Debut Album entitled, Secret Victory in the Roots Album Category.. They also won a Canadian Folk Music Award of Ensemble of the Year 2016. In 2018 at MusicPEI in January, they won 4 awards for: Group Recording-Roots Contemporary Album-Song (Two Weeks) from their second Album entitled, (What We Leave Behind) and won Touring Artist as well.. This album was produced by song/writer Gordie Sampson (Cape Breton/Nashville) and recorded in Nashville. The first single from the album was 82 Fires & Two Weeks co-written with Gordie Sampson. They reflect on the traditions of Canadian Celtic Music and they reach out with open arms to a wide range of listeners inviting them to discover a new love of folk music. They write about real life. The group recently returned in Feb 2018 from a 2 month tour of Australia and New Zealand to rave reviews. Upon returning from their tour, they had 1100 fans fill the Confederation Center in Charlottetown welcoming them back to PEI. The band just got the good news where they have received 2 ECMA 2018 nominations for Folk Recording and Group of the Year, winners to be announced during ECMA Week May 2 - 6, 2018. The band is in now on a tour to Ontario and Western Canada, beginning in February 2018. For furtner information regarding East Pointers, refer to their website, address posted above.